Yamada Nagamasa: A 17th century adventurer, pirate and merchant. Note: Yamada is the family name and Nagamasa is the given name following the Japanese naming system. Japan in the 16th and 17th century is often portrayed as a nation closed off to the world. However, the process of seclusion did not happen over night but rather over several years. Even during Japan’s 250 years of seclusion a continuous trade relationship existed with China, Korea, and the Netherlands. For most European nations this period of history was one of expanding colonialism in the Americas and seeking new trade routes with the East; characterized by pirates, adventurers and mercenaries sailing around the globe. The Japanese, despite their secluded reputation were no different and they were able to produce their own adventurer, Yamada Nagamasa (山田 長政). Yamada Nagamasa was born in 1590 in Numazu, in modern day Shizuoka prefecture (130 km west of Tokyo, or Edo as it was then). Nagamasa started out life on a low rung of Japanese society, it is said as a palanquin bearer of the local lord. Japan’s social hierarchy, at the time, was based on a Confucian order: the Samurai at the top, followed by farmers and artisans, at the very bottom of the pile were the merchants (because their trade only benefited themselves by selling things people didn’t really need). Thus Nagamasa’s choice to join the merchant class was effectively taking a step down the social ladder. It is unknown exactly how he came to join the merchant trade. All that we know is that by 1612 he was sailing on the “Red Seal Ships” to the Thai kingdom of Ayutthaya. The Red Seal Ships were an armed Japanese merchant ship that carried state approval to trade overseas (as well as protection and insurance from pirates), known for their depictions of a red seal (as in sigil not the animal) on their flags. Once in Ayutthaya, Nagamasa found a considerable Japanese community had settled there (it may have been his intention to join them from the beginning). The Japanese community of 7,000 (by some estimates, the lowest are 1,500) was called the “Ban Yipun” and were formed from various strata of Japanese society. Roughly 400 of them were Christians fleeing persecution, however, the majority of them appear to have been Ronin (lordless Samurai) who had ended up on the losing sides of the battles of Sekigahara, Osaka, and Shimabara (the battles that established the Tokugawa Shogunate that ruled for the next 250 years). Naturally with so many fighting men in one place, despite officially being a trading colony, the Ban Yipun were primarily involved in mercenary work and piracy. 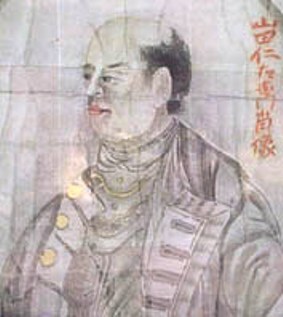 Nagamasa is known to have been sucked into piracy and became renowned for raiding Dutch shipping around Jakarta. 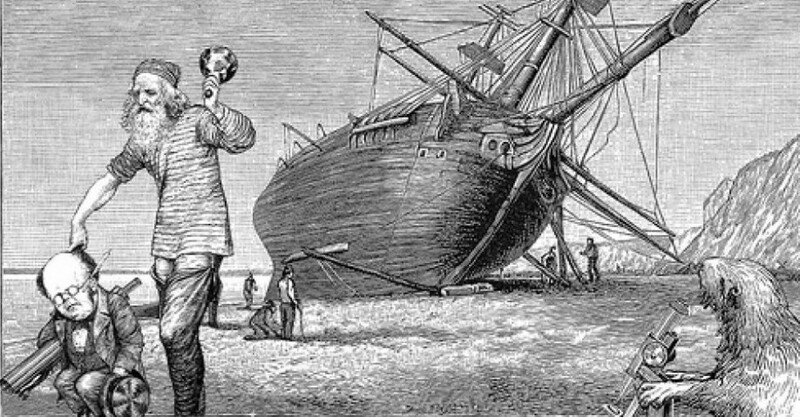 There is even a legend that he buried his treasure on the northern coast of Australia (a couple of centuries before the country’s “discovery” by Captain Cook). This legend would seem unlikely as no trade routes went anywhere near Australia at the time and the only ships that went there were those that were blown off course in the summer storms. It is more likely that it was hidden on one of the many islands in the Torres straits and Coral sea. Nagamasa’s career in piracy was, however, not his main calling. The Ban Yipun’s work as mercenaries was highly prized by the Thais as the majority of the community was made up of Samurai who had been raised from boyhood for no other reason than war. Nagamasa quickly rose through the ranks of the Thai nobility based on his skill of command among the Samurai of this community (a surprising feat given that it is most likely that he wasn’t Samurai himself). Fighting for the King of Ayutthaya, Songtham, Nagamasa led troops into battle under the Japanese flag and was eventually raised to the senior nobility with the title of Ok-ya Senaphimuk as well as chief of the Ban Yipun. Nagamasa would even be given a city in 1630, Nakhon Sri Thammarat (610 km south of Bangkok). Nagamasa returned to Japan only once, in 1624. His red seal permit had run out and needed to be renewed. However, this was a lengthy procedure and even after three years Nagamasa was unable to get a renewal and was forced to leave Japan in 1627 under the status of “foreign ship”. Back in Ayutthaya Nagamasa’s reputation had reached such heights that even the Dutch did not want to cross him due to his enormous influence over King Songtham, with whom they wanted greater trade relations. However, in 1630 the king died and a succession crisis ensued. Nagamasa and the Ban Yipun we sucked into the crisis and Nagamasa would die that same year of a wound, received in battle, that went septic. The throne was usurped by Prasat Thong, whom the Ban Yipun had opposed; as reprisal Prasat burned the community down and forced the Japanese community to flee to Cambodia. A few hundred would return a few years later and reestablish the community but it never achieved its previous success. The remains of the Ban Yipun can still be seen in Ayutthaya along with a statue of Nagamasa wearing Siamese armour. Nagamasa himself was returned to his home town. The attack on the community greatly angered the Shogun who saw it as a personal slight. This led to the complete separation of trade relations with Siam and the Japanese, instead, turned to the Dutch to make up the shortfall leading to the creation of the Dutch outpost of Dejima, in Nagasaki (which can also be seen today). Nevertheless Yamada Nagamasa was an adventurer, merchant, pirate and mercenary who was able to compete with anything the European nations produced. Yet even in Japan he is relatively unknown despite being a symbol of the fact that Japanese seclusion did not mean that people did not travel. Yamada Nagamasa was the most notorious of the Japanese adventurers but he was by no means the only one, after all the community of the Ban Yipun numbered in the thousands and there were other such communities in Cambodia, Korea and China. Very interesting!! I have always wondered how that “closed society” really worked. We always want stuff from the outside world! Do you think not getting the red seal re-approval for three years had something to do with his piracy – he wasn’t exactly trustworthy – dynamic but not really a merchant under government control.